Despite a few cool moments, Neil Marshall's Hellboy fails to tell its story well. There are many dilemmas that come with “rebooting” a comic book franchise. Somehow, Hellboy seems to run into all of them. The first is the challenge of retelling the origin story, often worth an entire movie by itself. In the case of Hellboy, it was told (and told well) in 2004 by the brilliant Guillermo del Toro. It is hard and unnecessary to reinvent the wheel but a remake must necessarily do so in order to explain itself. The second is the challenge of finding a new plot for an old character. This is not necessarily a bad thing, but in the case of a reboot, one wonders whether a sequel could have been made instead. When fans have been asking for Hellboy 3, why remake Hellboy 1 again? The final challenge is that of being different from the original. The original will always have its own seasoning and directors who try and add too much to this might end up ruining the soup altogether. In this reboot, director Neil Marshall opts to recreate the 2004 origin tale explanation with better graphics, greater violence and a dash of horror. 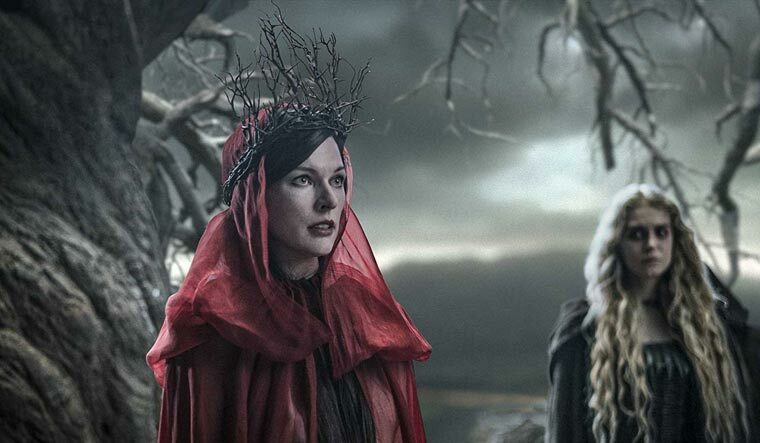 Rather than beginning the film with Hellboy’s origin, we are instead shown the introduction story of the villain, a witch named Nimue (Milla Jovovich), whose story begins in the fifth century AD as King Arthur and his wizard Merlin set out to murder her. It is a rather quick introduction that manages to set the film up well in a “no nonsense” style of exposition. You are introduced the main villains, the plot and the eventual conflict in a matter of minutes. For some films, this 0-100 pace of storytelling works for a scene or two. The problem is that you cannot fill a movie with too many sequences like this, and Marshall’s Hellboy is packed with rushed exposition. Hellboy’s origin story begins around World War II, when a group of Nazis attempt a demonic ritual under Hitler’s orders, summoning a demon-baby who is prophesised to be the bane of all mankind. The Nazis are killed by an Allied attack, and the baby is rescued. He grows up to become Hellboy—a dour, giant, de-horned demon of a man with a right hand made of stone, and a mission to protect mankind from supernatural evil. After a rather confusing introduction to Hellboy, played by David Harbour, you are left wondering if this is a sequel or a reboot. It takes a while before the film gets to the point of explaining its hero, and when it does so, the resulting sequence is a rushed remake of the original 13-minute scene from 2004. There is something slick about Dark Horse films; a throwback to the hard-boiled, noir, crime films of the 1920s-1950s. 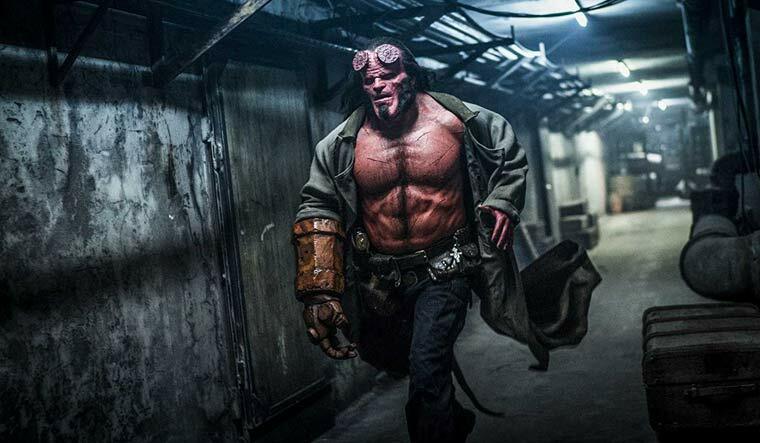 The problem with Hellboy is that it is too slick, over-greased even, and the result is a movie that slides past the audience at breakneck speed. The film’s style is distinct, a sort of blend of extreme violence and comic book magnificence. It is ridiculous,yet somewhat grim thriller, punctuated by action-sequences that are gory and satisfyingly done. Hellboy punches hard and stabs even harder, though in keeping with the comic canon, he is a terrible shot with his signature oversized revolver. There are cool moments, such as when he rides a flaming dragon over a hellish earth, but they are far too short to be memorable. The film is an enjoyable action-horror film with plenty of cool moments that will elicit a chuckle for their self-aware badassery. Ultimately, this is a badass movie let down by its own chaotic pace of storytelling. You can still enjoy it, especially if you want a change of style from the usual DC or Marvel fare. The violence, f-bombs, and R-rated theme make for satisfying adult viewing, but they lack the backing depth of Dark Horse’s other adaptations. In a month where Shazam!, the Avengers: Endgame and Game of Thrones are all releasing, Hellboy feels like an unmemorable addition to popular consciousness.